AMSAT-NA has joined the International Amateur Radio Union (IARU) in expressing concern that some soon-to-be-launched satellites operating in Amateur Radio bands could cause conflicts in some ITU regions. 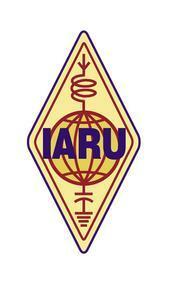 In an August 7 statement on behalf of the IARU, Secretary Rod Stafford, W6ROD, said the IARU had become aware of plans to launch a series of satellites, "where the frequencies proposed appear to conflict with existing IARU band plans" in parts of the world. "IARU is investigating how this has arisen, and is discussing the issues with the parties involved," Stafford said. AMSAT-UK has reported that the IARU Satellite Coordinator was asked to look into the matter. While Stafford did not name any specific satellites that may be of concern, AMSAT-UK has said that some frequencies proposed for the Chinese Amateur Radio Group (CAMSAT) XW-2/CAS-3 mission do not respect the internationally agreed-upon 2 meter band plan for IARU Region 1. AMSAT-NA President Barry Baines, WD4ASW, told the ARRL that AMSAT's initial excitement regarding the pending CAMSAT launch of nine Amateur Radio satellites has been tempered by concerns that some of the proposed amateur frequencies may not have been properly coordinated. "While these frequencies are within the spectrum allocated for the Amateur Satellite Service, several will conflict with existing terrestrial allocations, as well as with the normal voice and SSTV downlink from the ISS," Baines told ARRL. "We support the IARU's effort to determine how the lack of coordination occurred, to mitigate the interference issues to the maximum amount possible, and to ensure that future amateur satellites will be coordinated in accord with established norms for the benefit of all." In a related matter, also alluded to by Stafford, the operation of an existing satellite -- the 14-year-old PCSAT (NO-44) -- recently became a problem over Europe, when it began transmitting APRS on 144.390 MHz, due to technical issues related to its age. APRS on that frequency is not compatible with the Region 1 band plan. "[T]his unfortunate circumstance appears to be unintentional," Baines allowed in his comments to ARRL. "There are lessons to be learned in satellite design from this experience that will hopefully be followed in the future to mitigate such potential problems," Baines added. Users have been asked not to digipeat via PCSAT while the satellite is over Europe. Educators from several states expanded their electronic horizons this summer in three ARRL Teachers Institute on Wireless Technology sessions. The 2015 ARRL Education & Technology Program (ETP) offered two introductory (TI-1) and one advanced (TI-2) Teachers Institute sessions this summer. TI Instructor Tommy Gober, N5DUX, demonstrates how to operate via an Amateur Radio satellite. "I am the only teacher in my building who teaches Ohm's Law and basic electricity, along with breadboard circuits, because of what I learned at the first TI," one advanced student commented afterward. "From this TI, I feel like I have 'upped' my game." The expenses-paid Teachers Institute sessions offer educators a professional development opportunity that equips them with training and resources to explore a variety of applications in radio science and wireless technology and -- in the advanced seminar -- remote sensing and data-gathering techniques. A 4-day introductory (TI-1) session in June at Parallax in Rocklin, California, kicked off the series. An additional introductory course was held in July at ARRL Headquarters. 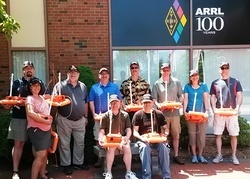 A 5-day advanced (TI-2) seminar, "Remote Sensing and Data Gathering," took place in late July at ARRL Headquarters. The advanced course is only open to those who have already completed the introductory program; an Amateur Radio license is a prerequisite. At the California TI-1 class, instructor Tommy Gober, N5DUX, plunged into some hands-on radio activities, which included working a couple of stations via SaudiSat 1-C (SO-50) and capturing part of a NOAA weather satellite pass. Groups of class participants in both sessions also faced off in a hidden-transmitter hunt -- a fox hunt. TI students run their BoeBots through a maze to check on how well they've mastered the required programming skills. The TI-1 students also learned computer programming to control Boe-Bot® robots on wheels that they then run through a maze to check their coding skill. In the TI-2 class, expanded to 5 days to cover applications for downloading and using satellite telemetry as well as electronic sensors and their deployment in a marine buoy. Participants also used a MAREA (Mars Lander Amateur Radio Robotics Exploration Activity) transceiver to outfit their Boe-Bots for packet control. The robot activity simulates how NASA scientists use radio signals to control the Mars rovers. TI Instructor Matt Severin, N8MS, demonstrated techniques to use satellite data in the classroom by downloading telemetry from the FUNCube-1 (AO-73) educational spacecraft. TI-2 participants also were exposed to digital concepts, such as analog-to-digital conversion. Among the 22 attending the two TI-1 courses, 11 had Amateur Radio licenses, while nine others indicated they intended to get their tickets. Ten radio amateurs participated in the TI-2 class. "We are all teachers and deal with a lack of time, money, and authorization issues, but we do have the ability to integrate ideas that can profoundly change the way students understand data and technology," TI Instructor Bill Richardson, N5VEI, remarked. ARRL Teachers Institute is open to grade 4-12 teachers as well as to post-secondary educators. "We look for teachers who have a vision of how to apply this wireless technology training to support STEM learning in their classrooms," said ARRL Education Services Manager Debra Johnson, K1DMJ. Danish radio amateur Thomas Andersen, OZ1AA/K9DXX, has said he never wanted to think back on things that he might have done during his lifetime, but did not. That's why he decided to follow his dream and start cycling -- around the globe. He's now completing the 5th year of his journey, and he's been meeting many hams along the way. This month he's been working his way up the East Coast of the US, more or less following US Route 1 from Florida. 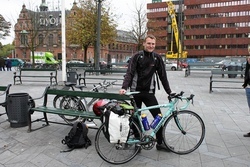 OZ1AA set out on his bicycle from Copenhagen in 2010. "I have been staying with hams almost every day on the trip in the US!" the 32-year-old telecommunications engineer told ARRL this week. "Absolutely amazing hospitality." He plans to end the North American leg of his trip in St John's, Newfoundland. "From there I will be flying back to Denmark for a 3-month break," he explained. "Then my plan is to go to Africa and start riding home from there." 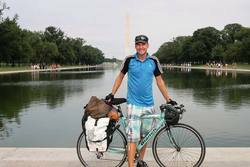 Andersen said his bicycle adventure also stemmed from a desire to attempt something that he was not entirely sure he could finish, but it's been an opportunity to combine his favorite activities. "Apart from ham radio I have been interested in cycling since I was a kid," he said on his QRZ.com page. "I also love to travel, so it was somewhat natural for me to combine my passions in life into a perfect match." Andersen has been pedaling since leaving his homeland in 2010. His initial plan was to cycle southeast and end his trip in Sydney, Australia. OZ1AA stops in Washington, DC, on his way up the US East Coast. "When I left Denmark I had enough money for 1 year of travelling (on a $20 a day budget). That was enough to get me to Australia," he told ARRL. "I thought I had to go back home from there, but I found work in Australia -- on a huge cattle station out of Alice Springs -- so I could save up more money and extend my trip to the Americas as well." He now hopes to complete his circumnavigation back home in Denmark. So far, he has not been carrying along any Amateur Radio gear, because of weight concerns. "Even so, I have come to the conclusion that I would like to add a small HF rig to my setup. Having a radio in my bag simply seems worth it," he said on QRZ. Andersen said he thinks his adventure would not have been possible without his being a radio amateur. "I can't honestly think of any other hobby where you can show up in any town in any part of the world and be welcomed like I have been. He said his non-ham friends don't get it, though. "[B]ut all I can tell them is: Become a ham, and you will have 1 million friends around the world as well." Read more. In the wake of the recently announced normalization of diplomatic relations between the US and Cuba, a joint US-Cuba operation is being planned for this fall, to include the dates of the CQ World Wide SSB contest. "The combined group will be operating under the call sign T42US between October 21 and October 28, including during the CQ WW DX SSB Contest," the announcement said. "There will be nine operators from the USA and approximately the same number from Cuba. The T42US group will operate 160-10 meters, SSB and CW." The US Team leader is Jim Millner, WB2REM, and the Cuban Team Leader is Bob Ibarra, CM2KL. Millner said the T42US operation will be among the first of its kind in Cuba and will involve a joint effort between the US and Cuban teams. Read more. The Temple Amateur Radio Club (TARC) has again generously supported the ARRL's advocacy efforts, this year donating $1000 to the Legislative Issues Advocacy Fund in support of the Amateur Radio Parity Act of 2015. In the past, the Texas club has donated to the Spectrum Defense Fund, but this time it asked specifically to put its gift toward the Parity Act campaign. "The Temple Amateur Radio Club has been a long-time supporter of ARRL," said ARRL Development Manager Lauren Clarke, KB1YDD. "Over the years, the club has donated $8000 to the Spectrum Defense Fund to support ARRL advocacy efforts to protect our frequencies. We are grateful to the members of TARC for their continued support and generosity." 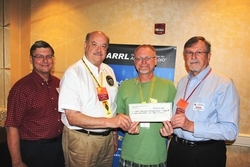 Representatives of the club presented a check to ARRL West Gulf Division Director Dr David Woolweaver, K5RAV, and Vice Director John Stratton, N5AUS, at the ARRL South Texas Section Convention -- the Austin Summerfest -- August 7-8. ARRL Marketing Manager Bob Inderbitzen, NQ1R, who represented League Headquarters at the event, said some 700 visitors turned out for the convention, despite temperatures in excess of 100° F.
During the ARRL Forum, attended by about 120 conventioneers, Inderbitzen said Director Woolweaver encouraged those on hand to support the Amateur Radio Parity Act grassroots effort to obtain additional cosponsors for the US House and Senate bills. TARC maintains two repeaters under its W5LM call sign, and actively participates in public service events. The club sponsors the HamEXPO, held this year on October 3 in Belton, Texas. The ARRL Rookie Roundup returns to RTTY Sunday, August 16, 1800 UTC through 2359 UTC. For the purposes of this operating event, a "Rookie" is any radio amateur licensed within the current calendar year or in the previous 2 calendar years, regardless of license class. 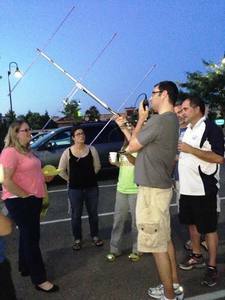 Rookie Roundup events take place three times a year -- SSB in April, RTTY in August, and CW in December. KK4EVI and KK4JRP learn RTTY contesting techniques during the 2012 ARRL Rookie Roundup with the Charleston Amateur Radio Society. The goal of Rookie Roundup is to encourage recently licensed operators in North America (including territories and possessions) to operate on the HF bands and experience competitive Amateur Radio operating. Experienced operators are encouraged to participate and help new operators -- either on the air or in person. Old Timers may want to consider opening up their stations to rookies and serving as contesting mentors. The more operators on the air, the more fun the Roundup will be for everyone. During the contest Rookies can work anyone, while veteran operators only work Rookies. Single-Operator Rookie entrants can form teams, but teams must register beforehand. A multioperator category is also available for stations hosting more than one Rookie operator. Rookies call "CQ RR" (CQ Rookie Roundup), while veteran ops call "CQ R" (CQ Rookies). Exchange the call sign of the station you're working, your call sign, your first name, two-digit number of the year first licensed, and your state, Canadian province, Mexican call area, or DX. Review the rules before the event, and get familiar with logging and log submission processes too. Rookies exchange information with as many other stations as possible on 80, 40, 20, 15, and 10 meters. Before venturing forth, Rookie entrants are encouraged to read "HF Contesting -- Good Practices, Interpretations and Suggestions." Contact ARRL Contest Branch Manager Matt Wilhelm, W1MSW, for more information. Read more. The ARRL "Logs Received" page now contains all 2015 ARRL Field Day entries received to date (scroll to bottom of page). This includes entries submitted via e-mail, web applet, or on paper. The date to submit entries for ARRL Field Day 2015 has passed. The ARRL Contest Branch requests that Field Day participants review the list and contact ARRL Contest Branch Manager Matt Wilhelm, W1MSW, (860-594-0232) no later than Midnight, August 21, if anything appears to be incorrect with their entry information. Time and frequency standard station WWV's resurrected 25 MHz signal -- now back on the air for more than a year after going silent in 1977 -- is once again transmitting on a vertical dipole from its original antenna and location. The 25 MHz signal returned to the air on an "experimental basis" in April 2014, and it's been transmitting ever since. The WWV vertical dipole is not something you'd likely find in the average ham radio antenna farm. "The antenna the 25 MHz [transmitter] is on right now is the original antenna it was on in 1977," Matt Deutch, N0RGT, WWV's lead electrical engineer, told ARRL. "When the 25 [MHz transmitter] was shut down [that year], the radiating section was removed and tossed in the bone yard, and a new longer section put on the tower to make it a 15 MHz stand-by antenna." Deutch said that when WWV first reintroduced the 25 MHz broadcast in 2014, it used a broadband monopole. It was later decided to use that antenna for WWV's 2.5 MHz stand-by transmitter, though. "So, we decided to rebuild the 25 MHz antenna," he recounted. "A few weeks ago the boys dug the 25 MHz radiating section out of the mud in the bone yard and rebuilt the 25 MHz antenna, so that it looks identical to what it looked like in 1977." 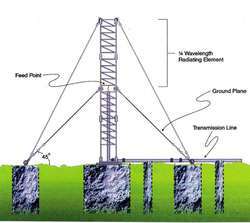 Deutch said the 25 MHz WWV vertical dipole now is coupled to its own, dedicated transmitter, radiating 2.5 kW "with near zero watts reflected," he added, and modeling has showed that the dipole exhibits a lower angle of radiation than the broadband monopole did. "There is no automatic backup transmitter for 25 MHz at this time," Deutch added. The 25 MHz WWV signal had been operating at about 1 kW for the past 16 months. Deutch has said that WWV has received reports on the 25 MHz signal from across the Atlantic. The 25 MHz transmission not only provides another option to check your frequency calibration or the exact time, it also can serve to indicate the state of propagation on 12 and 10 meters. The 25 MHz broadcast includes the same information transmitted on all other WWV frequencies and at the same level of accuracy. 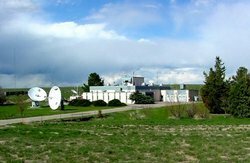 Located in Fort Collins, Colorado, WWV is operated by the National Institute of Standards and Technology (NIST). WWV has invited listeners' comments and signal reports. "Over the past several years, we have seen a dramatic reduction in demand for narrowband analog filters," the company said on its website. "Due to this and other economic reasons, [Rockwell Collins] Filter Products will be discontinuing its mechanical filter products in the near future." The Yasme Foundation Board of Directors has announced the recipients of the Yasme Excellence Award. The Award is presented to individuals who, through their own service, creativity, effort, and dedication, have made a significant contribution to Amateur Radio. "The contribution may be in recognition of technical, operating, or organizational achievement, as all three are necessary for Amateur Radio to grow and prosper," the announcement said. The Yasme Excellence Award is in the form of a cash grant and an individually-engraved crystal globe. Mike Mertel, K7IR, for his revolutionary invention of a tunable Yagi antenna that was later made available to the Amateur Radio community under the brand name SteppIR. Koos Fockens, PA0KDF, for his investigations, measurements, and publications regarding noise in the Amateur Radio bands that played a key role in the global fight against Broadband over Power Line (BPL) interference. James Ying, N2IW, for his creation of an online scheduling application that was used by many W1AW/portable operations during the 2014 ARRL Centennial and remains available without charge. The Yasme Foundation is a not-for-profit corporation organized to conduct scientific and educational projects related to Amateur Radio, including DXing, and the introduction and promotion of Amateur Radio in developing countries. The Central States VHF Society (CSVHFS) recently honored two radio amateurs with awards. Wayne Overbeck, N6NB, was presented with the Society's 2015 John Chambers Memorial Award, and Lauren Libby, W0LD, received the 2015 Wilson Award. Kent Britain, WA5VJB, presented both honors on July 25 at the CSVHFS annual conference in Denver. The Chambers Award is given for technical contributions to VHF/UHF Amateur Radio. Created in 1970, it honors the memory of John Chambers, W6NLZ, who completed the first-ever 2 meter transpacific contact with Ralph "Tommy" Thomas, KH6UK. The Wilson Award is given for outstanding service to the CSVHFS or for service to VHF-UHF Amateur Radio in general. Introduced in 1982, it honors the memory of Mel Wilson, W2BOC. This marked the second time that Overbeck has won the Chambers Award, although it's been a long time between awards; he previously won it in 1978. Overbeck and Libby said they were pleased and surprised to be feted at the conference. In presenting the awards, Kent Britain, WA5VJB, said Overbeck was being honored for accomplishments since winning his previous Chambers Award in 1978, and primarily for his success in setting new world DX records on the 2.3 and 3.4 GHz bands. Libby received the Wilson Award for his longtime service to the CSVHFS. A special event operation from August 26 through September 2 will commemorate the 10th anniversary of Hurricane Katrina and the more than 230 people who lost their lives as a result of Katrina along the Mississippi Gulf Coast and points north. "Many lost everything they owned and many lost their lives," said Larry Morgan, AG5Z, who is spearheading the event. "We also want to honor the hundreds of volunteers from all over the country that poured in to assist us in our time of dire need." 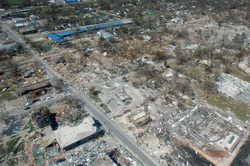 Hurricane Katrina damage in Gulfport, Mississippi. Several stations along the Mississippi coast will use special event K (for Katrina) prefix 1 × 1 call signs. Operation will begin on August 26 at 0000 UTC from home stations. On August 29 at 1300 -- the time of Katrina's impact -- all stations will reduce power to 100 W, except for bonus stations K5M and K5T. Reduced-power operation will continue until September 2 at 2359 UTC. K5Z at "ground zero" will consist of a portable QRP station set up on the beach using temporary antennas and emergency power. Certificates will be available. See the Katrina 10th Anniversary Special Memorial Event website for details. Send logs and QSLs to AG5Z. Morgan expressed his appreciation to the 599 DX Association and the Hattiesburg Amateur Radio Club. Read more. Tad Cook, K7RA, Seattle, reports: Solar activity remains soft, although sunspot numbers and solar flux both increased this week. Average daily sunspot numbers for August 6-12 increased from 70.3 to 82.3, compared to the previous 7 days. Average daily solar flux went from 104.5 to 112.4. Geomagnetic activity was moderate. Predicted solar flux for the near term is 100 on August 13; 95 for August 14-15; 90 for August 16-21; 95 on August 22; 100 for August 23-26; 105 for August 27-28; 110 for August 29-31, and then peaking at 115 for September 1-7. Solar flux drops below 100 for September 13-18. Predicted planetary A index is 5 for August 13-16; 14 on August 17; 10 on August 18; 8 for August 19-20; 10 for August 21-22; 12 on August 23; 10 on August 24; 5 for August 25-26; 12 on August 27; 10 for August 28-29; 5 for August 30-September 1; 12, 22, and 15 for September 2-4; 20, 22, 12, and 8 for September 5-8, and 5 for September 9-12. In Friday's bulletin we will present a revised forecast, and any reports from readers.